Seemingly struck by lightning, the ring breaks open, within the linear crack the ring presents its core. Simple or adorned with gold, gemstones or diamonds, and full of energy. Patrick is an American designer based out of Pforzheim, Germany. 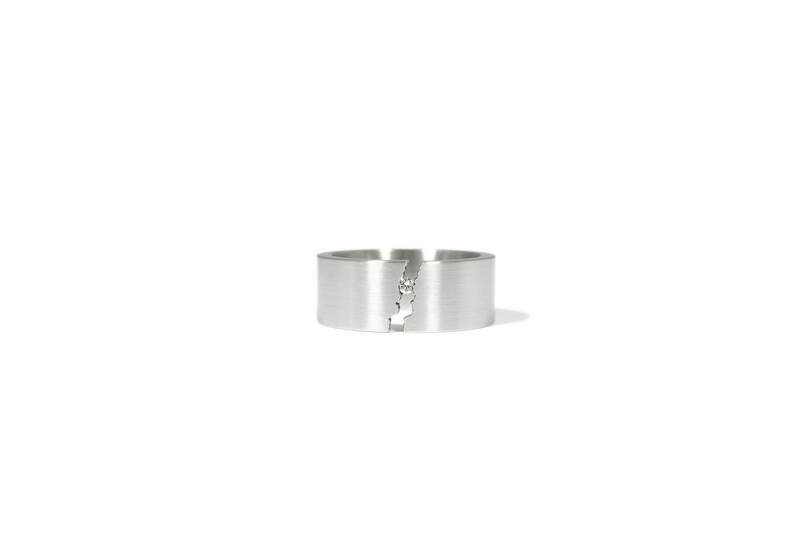 His collection includes rings and earrings in stainless steel and precious metals. Stainless steel ring with a brushed finish. The ring features 0.03crt TW-VS brilliant cut white diamond.